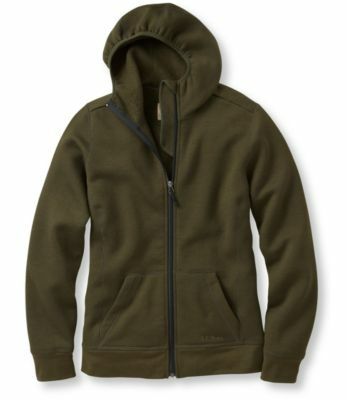 Visit Smartwool's TML Light Full-Zip page. CLOSEOUTS . 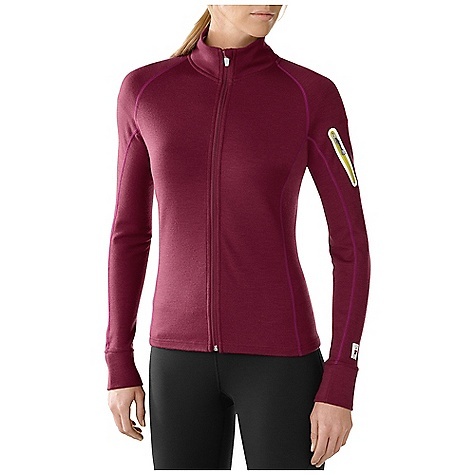 SmartWool's TML Light Full-Zip shirt features warm-and-comfortable itch-free, odor-resistant, thermal-regulating merino wool, plus vented stretch side panels that offer enhanced breathability and moisture management perfect for highly aerobic activities. Available Colors: BLACK, TEAL, NATURAL, SUNRISE. Sizes: XS, S, M, L, XL. Insulate yourself with SmartWool's TML Light Full-Zip, a lightweight midlayer crafted with a blend of Merino wool and stretchy synthetics. 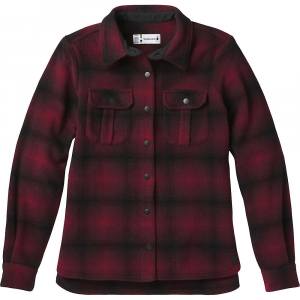 Long sleeves with thumbloops with an integrated flip mitt and a mock collar provide plenty of coverage and the secure zip chest pocket stashes your MP3 player so you can rock out while you work out. 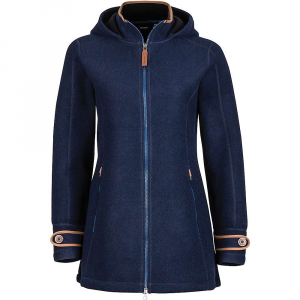 You want your layers to be warm without adding extra weight or bulk and the SmartWool TML Light Full-Zip for women delivers you a thin technical garment with fantastic warmth and comfort. Blending fine New Zealand merino wool with a small amount of elastane gives the TML Light Full-Zip an easy stretch while keeping the superior moisture wicking and warmth characteristics of all SmartWool gear. Ultra breathable panels integrate polyester and nylon for natural movement, stretch and just the right airflow. 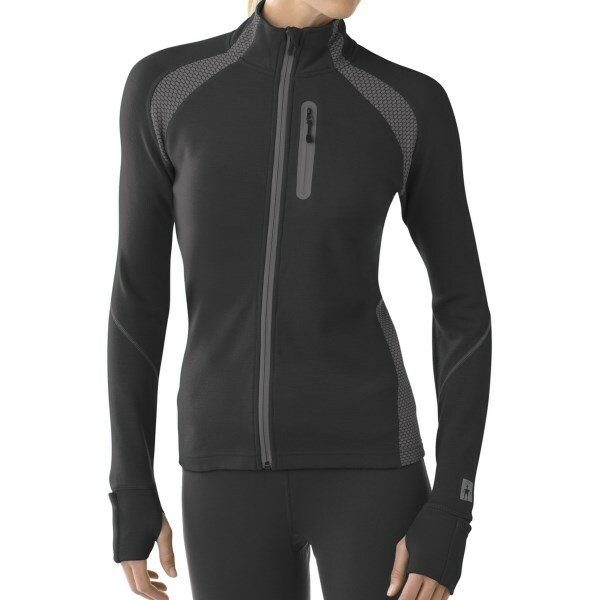 Perfect on its own for running and hiking or as a base layer under your outerwear this light performance sweater has an eye catching athletic style and feminine fit that will turn heads. 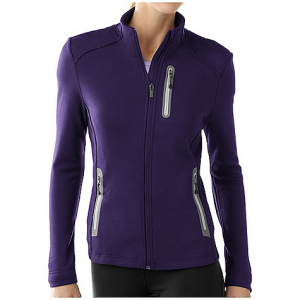 A full front zipper seals out wind with a draft flap, and a chin guard prevents zipper chafing. 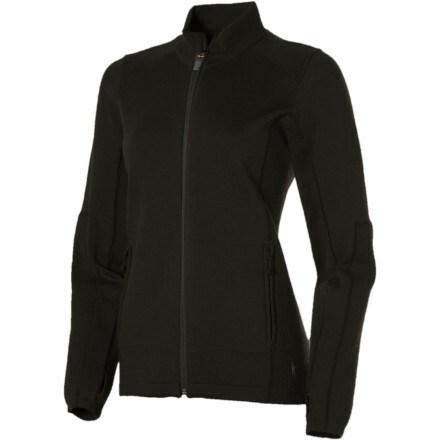 The Smartwool Women's TML Light Full-Zip is not available from the stores we monitor. It was last seen December 13, 2015	at Moosejaw.